Many of us associate the summer months with going to the nearest beach to cool off; however, not all of us get the chance to do that. More often than not, the best way to stay cool under the summer sun is to stay indoors and enjoy the cool air from your AC unit. Lessen direct sunlight. If you live in an area that gets a ton of direct sunlight, then you have to do your best to keep those rays out of your house in the summer. The hotter your home gets, the harder your AC unit is forced to work to maintain cool temperatures. This will, of course, be reflected in your subsequent energy bills. The simplest way to keep the sun out of your house is to put up drapes, curtains or Venetian blinds on all the windows in your home. For more shade from the outside, planting trees and shrubs on the eastern and western parts of your property should do the trick. Let your AC unit rest. Summer days can get very hot. That doesn't mean, however, that every single summer day will clock in at oven-level temperatures. Some summer days can actually be very cool, especially if there’s a light rain. 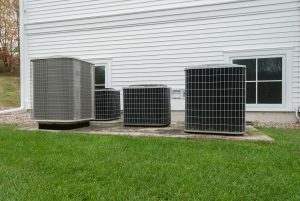 These cooler than usual summer days present you with an excellent opportunity to lower your air conditioning costs if you give your AC unit a break. Don’t touch the thermostat. Understandably, some people set their thermostat to 70 degrees or lower particularly when the thermometer is nearing its highest levels. If you’re one of those people, then you should be prepared for a massive increase in your next energy bill. Keeping your thermostat consistently at 78 degrees should be enough to keep you and your family cool (and your energy costs at a manageable level). Ceiling fans + AC = energy savings. Setting the thermostat at 78 degrees is enough to make most people feel comfortable, but if you run your ceiling fans at the same time, you can even adjust the thermostat to 80 or 81 degrees! Your family should still feel cool, but your air conditioning costs in the summer could be reduced by 15 - 25 percent. Keep the air filter clean. A dirty air filter restricts airflow to your AC unit, which will then work harder—and use up more energy in the process—to make up for it. Air filters should be cleaned or replaced regularly. The general rule of thumb for cleaning or replacing air filter is that you must do it approximately every 90 days. Hopefully these tips will help you keep your air conditioning costs down this summer! Stephanie Gordon is a content marketing specialist of New AC Unit. Aside from creating online content on energy-efficiency, Gordon enjoys running and biking with her family and friends to stay fit.